Versatile cataloguing and terminology management. Web interface with ordering and e-fulfillment. Expandable into a full digital asset management system. ImageIndex+ is the distillation of our work providing systems to clients including Getty Images, Wellcome Images, The V&A, The British Red Cross, British Parliament, The London Transport Museum and The BFI. We have paid close attention to the differing needs of cataloguers, picture researchers, librarians, system administrators and customers - the result is a highly adaptable system. The core system offers all the essential functionality and much more. Additionally, there are many options available and we can provide customisation to meet more specific needs. The user interface of ImageIndex+ is a Windows desktop application. 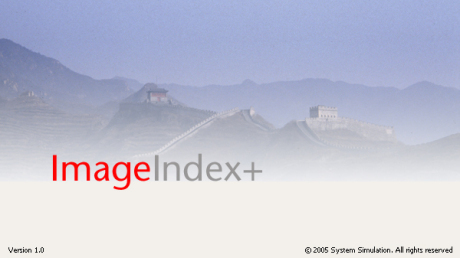 Technical information on ImageIndex+ is available here. ImageIndex+ is SPECTRUM DAM compliant. System Simulation is a SPECTRUM DAM partner. If you want a useful overview of the product you can download the brochure below.